Re: Is KCA still active? A bit. We have grown more into a community than a clan. Most of our members play League of Legends and Battlefield 3; very few still play Battlefield Heroes. Currently we do not play any competitive matches in any battlefield game; however we do play some competitive LoL matches. Even though we are no longer a clan we are always looking for new people to join us as it is always good to see a new face around here. As a community, yes. As a clan, not that much. I play BF3 and BFH and wear the KCA clantag proudly. I'd say it's a clan, just not a big one. If you like LoL then yes pretty much. Name Change? to something cool like "Uber Guys Club"
something with "awesome" to keep the tag? I'm only inactive cuz of my laptop being in repair. i'm on my xfire & mumble on my smartphone now and then. Or for KC AWESOME: Killer Coolies, Awesome? 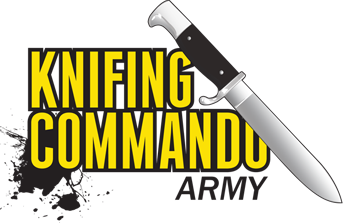 though im not sure if we should process a name change since Tom AA Hawk is thinking about using Knifing Commando Army as full name for his cloth brand, so maybe shutting down this idea would be better ok?